Last weekend, the Road to the Kentucky Derby leaderboard experienced few minor changes. With the running of the Arkansas Derby, Blue Grass Stakes and Lexington Stakes in the past week, there is only one more wild card race left in the trail – the Cliff’s Edge Derby Trial on April 28th. From this point on, the top ten horses featured on the leaderboard are almost guaranteed a spot in the starting gate on Derby Day. Considering nothing in this game is truly guaranteed, it’s up to the horses and their teams to stay healthy and on point for the next three weeks. 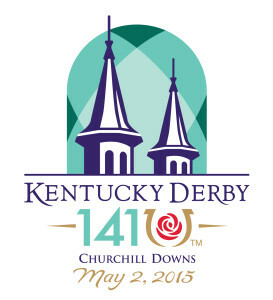 Our own Toniann Andries gives her thoughts on who the best bets will be on Derby Day. Dortmund – With all the hype surrounding this horse, one would likely assume he is overrated. For once, I think the hype is completely justified. He is simply an amazing running machine. Despite my longstanding belief that the odds-on favorite will usually fall short of the victory in the Derby, I have to hand it to this horse. He will without a doubt make it into my exacta box on Derby Day. Materiality – While he’s #7 on the list, this horse has clocked extremely high Beyer ratings when compared to the aforementioned five. He’s got speed and while I’m not convinced speed alone is enough to conquer the field, I can’t argue with his ability to cover ground when it counts. American Pharoah – Winner of the Arkansas Derby this past weekend, this horse has yet to disappoint. He’s a frontrunner and while that’s not my ideal running style for a Derby horse, he pulls it off. He’s got a good head, triple-digit Beyer’s and a good team behind him.